The Controlled Substances Act, enacted by the U.S. Congress in 1970 and updated annually, regulates controlled substances and classifies them into five categories (Schedules I-V). Schedules are determined according to a drug’s potential for abuse, its ability to create dependency, and whether or not it has any medical value. A complete list of Schedule I-V controlled substances can be found here. Drugs listed as Schedule I typically have the most severe penalties while Schedule V drugs have the least, although the ultimate punishment depends on the totality of the federal charges and factors such as a defendant’s criminal history. whether injury occurred as a result of the alleged transaction. Investing illicit drug profits in businesses affecting interstate commerce and unauthorized importation of controlled substances. Engaging in activities prohibited by the Racketeer Influenced and Corrupt Organizations Act (RICO). Some of the most severe punishments in the federal criminal system are found in violations of federal drug laws with multiple obstacles for the accused. Federal drug charges may negatively affect your finances, family, employment, and freedom. Convictions may require probation, imprisonment, monetary fines, property forfeiture, and/or mandatory participation in court-ordered drug treatment programs, depending on one’s individual charges and circumstances including possible prosecution in both state and federal court. Post-convictions can dramatically limit your employment opportunities, terminate your right to own firearms, revoke voting or driving privileges, and affect your custody and/or visitation with your children. The Fifth Amendment of the Constitution protects individual’s rights against self-incrimination if evidence or statements were unlawfully obtained. If this evidence is determined to be illegally obtained, the prosecution may not be able to prove its case beyond a reasonable doubt based on circumstantial evidence and the case may possibly be dismissed. The Right to Remain Silent means that no one can force a defendant to speak or testify if the defendant reasonably believes that his/her testimony will contribute to his/her conviction of a crime. Search Warrants forbid the search or seizure of private property unless the proper authorities have obtained a warrant through “probable cause,” unless one of the well-defined exceptions is present. Accurately assessing the severity and proper charges for an alleged drug crime involves complex procedures and guidelines that are difficult for those not experienced or educated in the law to navigate. Incorrect calculations can lead to unreasonable charges and excessive consequences. Sometimes mistakes are made during investigations and innocent people are accused. 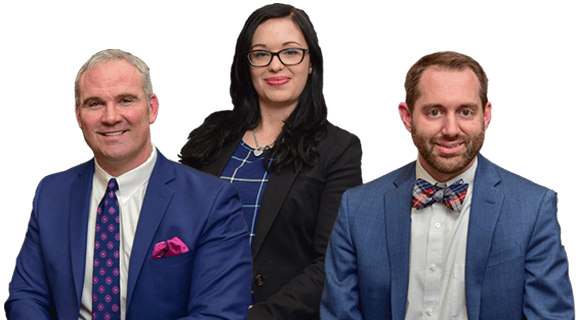 Criminal defense attorneys help to balance the power between the defendant and the prosecution by making sure that the rights of the accused are protected. Criminal defense attorneys can help you to fully understand all of the possible consequences you are facing. A knowledgeable criminal defense attorney can provide you with the best chance to minimize your charges and obtain the most favorable outcome possible. The greatest advantage you have when facing federal drug charges is an attorney who systematically knows the law and will be able to guide you in the right direction, diligently concentrate on protecting your rights and the facts surrounding your case, and always act in your best interest. Norman D. McKellar is such an attorney. 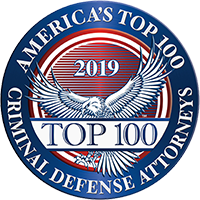 He represents the accused nationwide and is a member of the National Association of Criminal Defense Lawyers and the Tennessee Association of Criminal Defense Lawyers. For a free consultation, please call today at 865-566-0125. If you’re facing federal drug charges, you need a lawyer who is well-versed in federal law and has the integrity to handle your case effectively. Attorney Norman D. McKellar is such a person. He has represented accused individuals nationwide and knows how to make a defense strategy work at the federal level. To get started with your free initial telephone consultation, call 865-566-0125 or send us an email. Appointments are available at any of our three offices: Knoxville, Tennessee; Nashville, Tennessee; and Atlanta, Georgia. We accept credit cards.